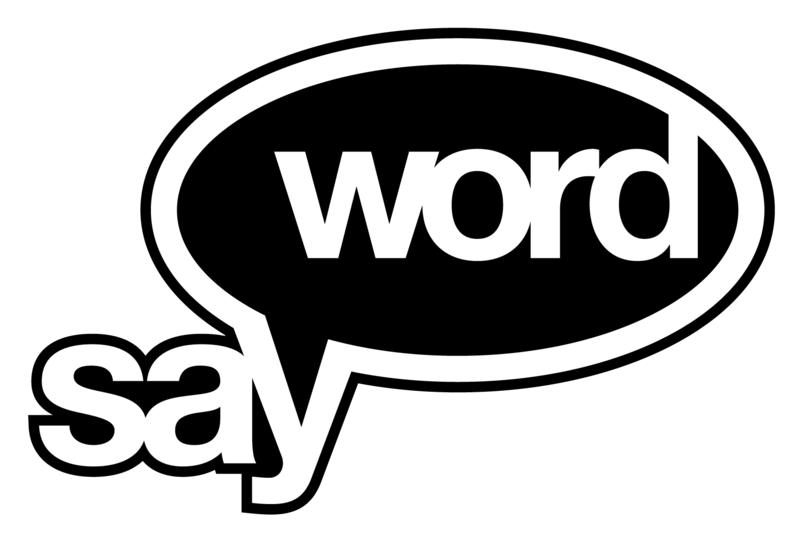 Say Word Entertainment is an LLC that functions as record label and events producer, founded in 2003 in New York City. Our goal is to provide a platform for artists that we love as creators, cultural emissaries and unique voices of uplift and expression while engaging in holistic, sustainable business practices and partnerships and curating brave performance spaces. As Say Word prepares to celebrate 15 years of existence, we have re-launched the brand anew with a commitment to expansion and elevation. We are extremely proud to welcome two new artists to the family: THE GRAND AFFAIR (Miss Anne & Too Deep) representing Queens, NYC, and BLACK FIN, representing Harare, Zimbabwe. They join label CEO Rabbi Darkside, member of label co-founding group 3rd Party (Rabbi Darkside, Farbeon and Hired Gun) and the torch bearer for Say Word over the last 10 years. This new era is marked by the realization of a successful Kickstarter campaign, which has provided the fan and financial foundation for our first year of new releases. We are excited to bring to life and to wax 4 full-length projects from our artist roster in 2018. Say what? Say Word.